I have a guy. I have a guy I talk to about sound/PA questions. I have another guy I talk to about piano/keyboard issues. 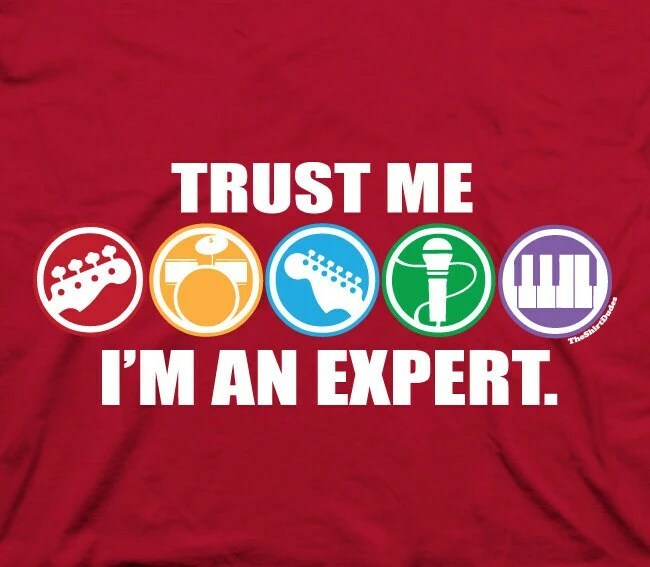 The same with drums, vocals, and even guitar and bass which are my native instruments. Some of these people are friends of mine. People that I’ve played music with and respect. People I’ve met over the years. People I’ve sought out because I needed help with a specific issue and I asked around to find someone who knew what they were talking about. What I have done in finding Experts to advise me is admitting that 1. I don’t know everything. 2. I need to know more. There are worship leaders who think they know everything about everything. They often don’t and to cover it they will discount as unimportant what they don’t understand. The other side of the coin is the worship leader who doesn’t think they need to know more. They are ok no knowing anything about the instruments they work with and either misunderstand something normal for that instrument as wrong, or they misunderstand something going wrong as normal. There is a difference between being in the church band and leading the worship band. When I played bass in my youth group’s band way back when, I only worried about what I was doing. As the band leader at my church now, I have to worry about what I’m doing in the singing and guitar playing, but what the bass is doing, how the drums sound, etc. I have “experts” who I go to for consultation, but they aren’t there week in and week out. I need to know what I’m talking about. I need to become my own expert, or at the very least have a working knowledge. A few years back I found out that the church I was serving at had a few violin players. I talked one into playing with the worship band and quickly realized that I didn’t know how to lead them. There was ‘language’ that I didn’t get, there were practical things like Keys and dynamics that I needed to learn about violins so I could effectively incorporate them into the band. Leadership is lonely. We need to show up earlier and put more effort into it. We don’t have to be the band leader. We could just be part of the band. But we aren’t, and part of being the leader is that we know the people and instruments we are leading.